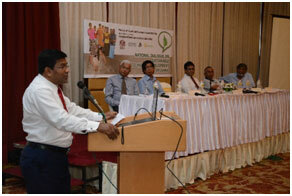 With the intention of uplifting the living standards of the Sri Lankans with economic, social and environmental sustainability, a national intellectual dialogue organized by the Ministry of Sustainable Development and Wildlife and Integrated Development Association (IDEA) was held in Kandy on Monday, July 31st at Earl’s Regent Hotel. “Soba 2017” World Environment Day exhibition held from 9-10th July in Colombo. 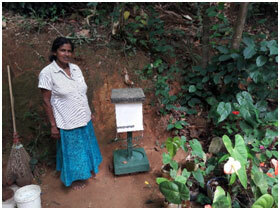 EVD information has being widely disseminated at different levels in Sri Lanka. 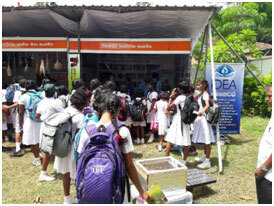 Eco Village Development and its activities have been exhibited at “Soba 2017” World Environment Day exhibition held from 9-10th July in Colombo. 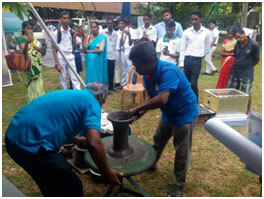 Live demonstrations of construction of the Improved cookstove Anagi and solar drying at the exhibition were able to draw a lot of interest from all groups of participants. 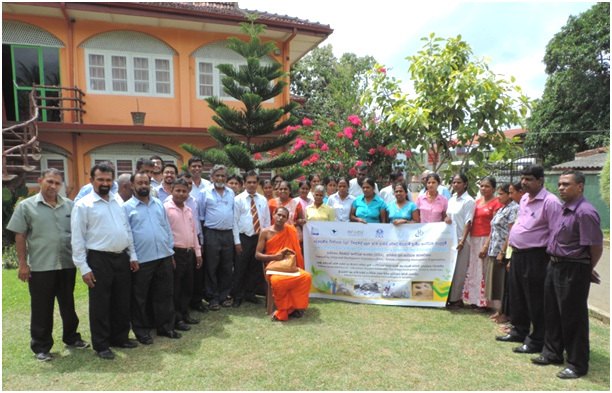 Advocacy event on “Low Carbon Eco Village Development as a solution for Climate change” held on the 16th of July, 2015 in Pallepola. 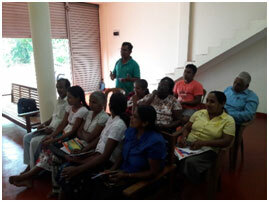 IDEA together with local partner “Arunulu” organized an advocacy event for the planning and development officials, civil organizations and other relevant stakeholders based in Pallepola and Naula DS divisions. 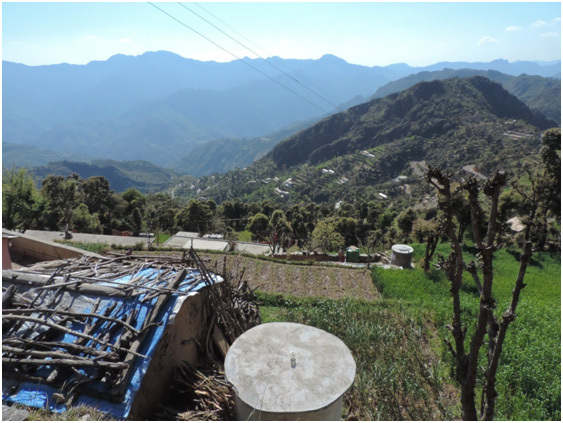 This workshop was to raise awareness on climate change , adaptation and mitigation options and to set the background for the Eco village development project to be carried out in three villages under the two divisions. 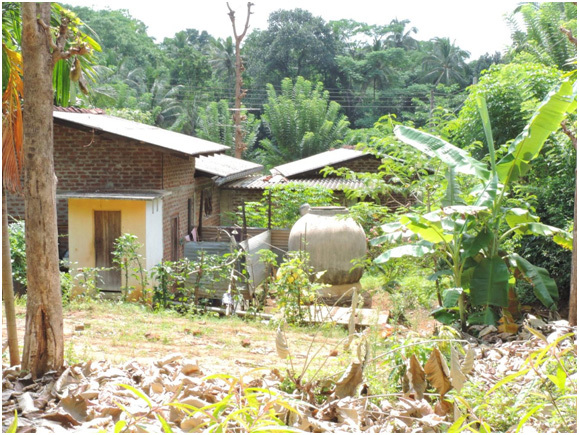 The projects linked to this advocacy are “Evidence Based Advocacy for low-Carbon, pro-poor sustainable” Eco Village Development” (EVD) in South Asia” and “Promoting low carbon developments in Sri Lanka”. 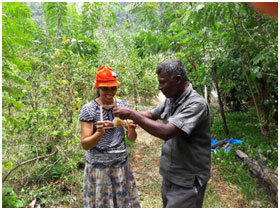 IDEA personnel- CEO Mr R M Ameresekera and Project Coordinator, Dumindu Herath visited the three selected villages- Identified to carry out the low carbon demonstrations under the EVD project. 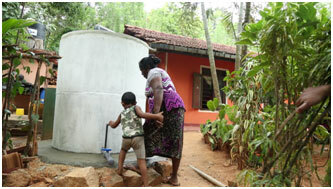 The field visit was hosted by the project local partners “Arunalu Community Development Centre”. IDEA personnel were escorted by Lionel Perera, secretary of Arunalu and Achintha, an Arunalu official. 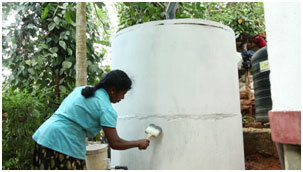 The three villages selected for the demonstrations are Dalupothagama, Galahitiyagama and Hapugasyaya. 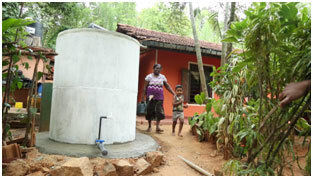 All three villages are in the Matale district belonging to two DS divisions, Pallepola and Naula. Brief gatherings were held at Galahitiyagama and Hapugasyaya. The village gathering at Galahitiyagama was hosted at the village temple where few of the villagers were present. 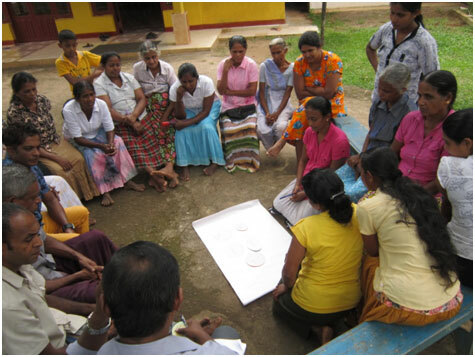 MrAmarasekera briefed the villagers on the EVD project , the effects of Climate change and plans ahead for formal awareness meetings and village planning .With wrapping up of this brief meeting , some of the village households were visited. 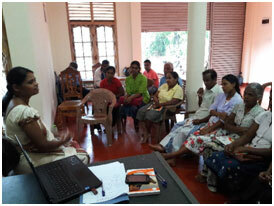 In Hapugasyaya, MrThilakaratne, one of the development officers of the village hosted a brief meeting with a local Vetrinary official and a few representatives of the local Womens organization. 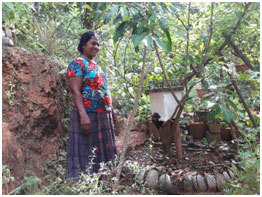 MrTilakaratne, been a local villagers paved us the way to his household and the sustainable solutions he already uses such as Solar power ,Rain water harvesting and Organic farming. 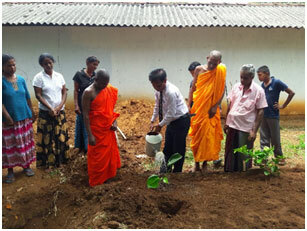 Our third destination, Dalupothagama was solely a field visit to explore the location and state of the village. 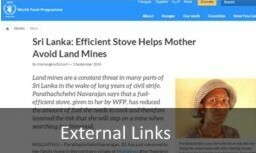 The Personnel were able to talk with one of the representatives of the womens organization and exchange ideas on their livelihood and future project proceedings. 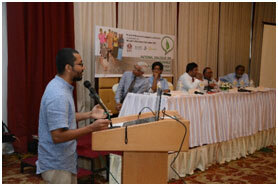 IDEA was invited to take part in the “ Climate Symposium 2015- Civil Society Climate Action Plan for Sri Lanka” organized by the Centre for Environmental Justice in partnership with the Embassy of the Federal Republic of Germany.DuminduHerath, Project Coordinator of IDEA took part in this symposium. 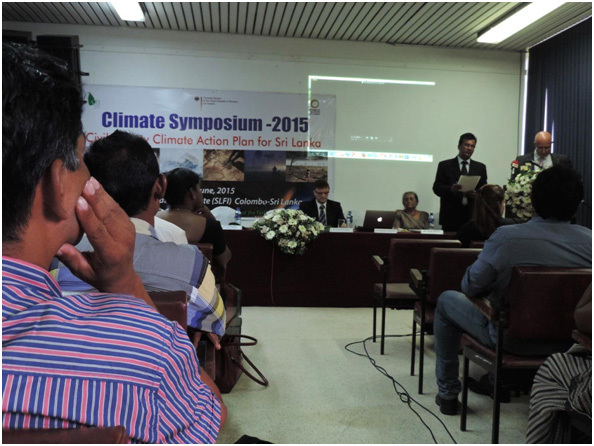 This event was held from 18-19 June, 2015 at the Sri Lanka Foundation Institute (SLFI), Colombo, Sri Lanka.At present ,it is evident that the effects of Climate Change is adversely felt by Sri Lanka in terms of rainfall, floods, droughts, temperature increases, winds, land slides…etc. 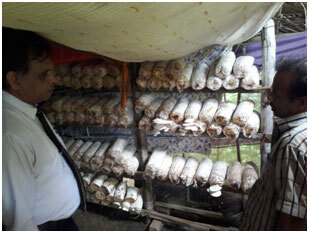 Hence, the importance of promoting civil community activities to overcome these impacts is immense. The main objectives of this project are to structure a Civil Society Climate Action plan through dialogues with relevant stakeholders and to direct stakeholders in to policies and actions which are imperative and to raise public awareness. 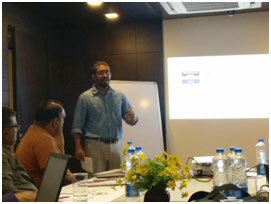 IDEA personnel, Mr W M Leelasena, Namiz Musafer and Dumindu Herath took part in the kick off workshop for the Eco Village Development project. 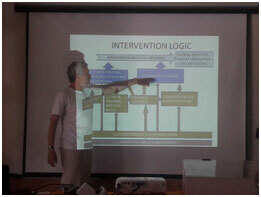 This seminar was intended to develop EVD concepts further and develop description of EVD concepts. 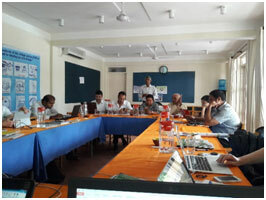 Apart from IDEA, organization from Bangladesh, Nepal, India and Denmark took part in this workshop as project partners. 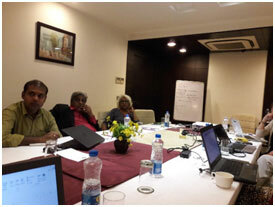 Discussions were on development of specific proposals for promotion of EVD in national climate and development policies, so they can be enabling frameworks for local EVD activities. These are specific proposals that the project would advocate on a national level. 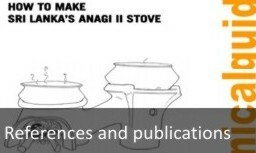 Field visits to EVD demonstration sites for the Divisional Secretary and relevant officials were organized by IDEA together with local CBO Arunalu where demonstration sites of Improved cook stoves, Mushroom units, Home gardens and Improved kitchens were visited and monitored. These visits have helped to raise the confidence of both, community and local government on EVD activities and their viability.